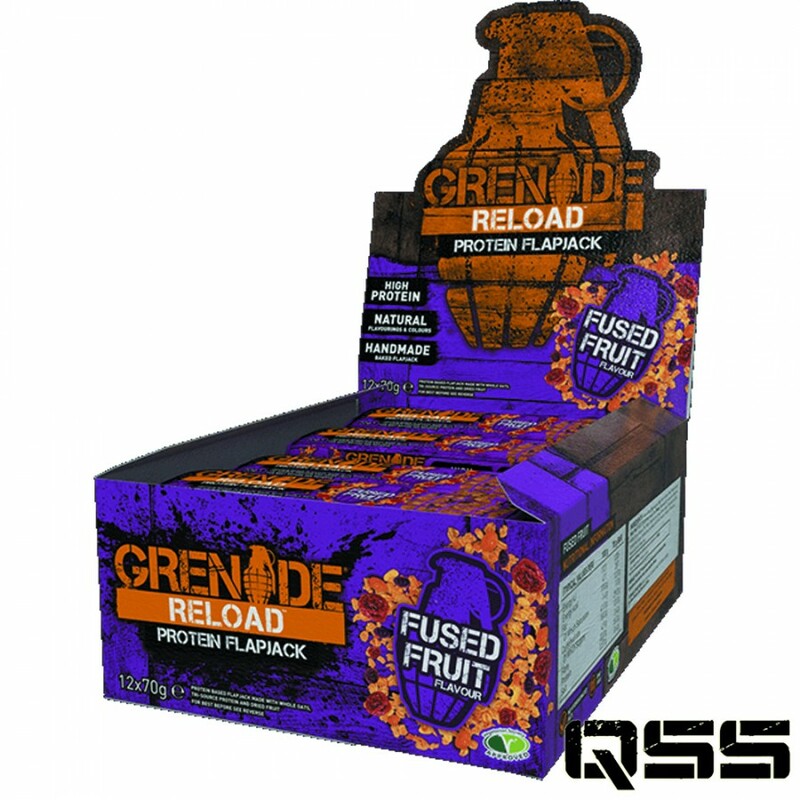 Reload® utilises a sustained release carbohydrate and tri Protein blend containing Whey concentrate and ultra-filtered soy isolate in a delicious oven baked bar. To avoid the protein being heated and potentially denatured, the oats are pre baked and the Protein added afterwards making this product unique and one of the highest quality and best tasting (in our opinion) bars on the market. Grenade have utilised three different protein sources in a flapjack. The reason is each protein is released at a different rate of absorption, ensuring a sustained release of amino acids over a longer period of time to enable a positive nitrogen balance. For a sustained release of energy, Grenade Reload Protein Flapjacks contain multiple sources of slow release carbohydrates such as jumbo oats, rolled oats and oat bran. Slow release carbohydrates take the body longer to break down and convert into energy, hence why they are also often referred to as complex carbohydrates. The result is that energy is given to the body over an extended period, with only a small impact on blood sugar levels. Controlling blood sugar levels helps to stabilise insulin levels which, in turn, may reduce fat storage.